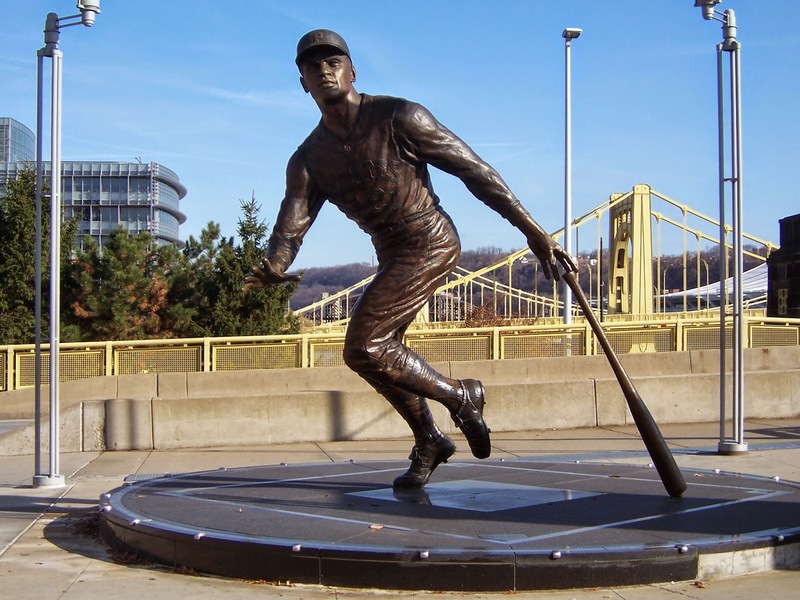 Nathan Barontini's Blog: Baseball Player Roberto Clemente to be Named a Saint? Baseball Player Roberto Clemente to be Named a Saint? Pope Francis (actually P. Boguslaw Turek, Undersecretary for the Congregation for the Causes of Saints) sent a letter of blessing to the efforts to canonize Pittsburgh Pirates baseball legend Roberto Clemente today. The notification from the Pope came today through his representative, the United States Apostolic Nunciature to Pittsburgh native Richard Rossi, who wrote and directed the feature film "Baseball's Last Hero: 21 Clemente Stories," a feature dramatic film that has catalyzed an effort to canonize Clemente as a saint. The letter is from the Undersecretary of the Congregation for the Causes of Saints telling Senor Rossi he has handled the start of the process correctly by his beginning dialogues and answering questions with the bishop of San Juan (the diocese Clemente died in when his plane crashed in a humanitarian mission of mercy). 1. The local bishop conducts an investigation of the man's life (this would be the Bishop of San Juan, Puerto Rico not of Pittsburgh). 2. This investigation is submitted to Rome, to the Congregation for the Causes of Saints. They can accept it, reject it, and even decide to conduct their own investigation if they find the original, episcopal, investigation to be lacking. The man now gains the title "Servant of God." 3. The official declaration that the man lived "a life of heroic virtue." This doesn't mean the person under investigation is enjoying the beatific vision in heaven, just that they strived for holiness on Earth and that they lived in such a way as to be considered worthy of possible veneration (not worship) by the Universal Church, thus he is given the title "venerable." 4. After a miracle (typically one of healing which the medical community cannot explain in any other way) has been proven to have been accomplished through the intercession of the prospective saint, he is declared "blessed." 5. After a second miracle, the person is formally canonized as a saint of the Holy Catholic Church. Canonizations are acts of the infallible ordinary and universal magisterium of the Church, so there is no doubt the man in question has attained that goal for which we all ought to be striving - eternal union with God. It is always exciting to have a possible saint closely associated with a geographic area which you are intimately connected to, but it is a long process and many, many cases stall along the way (Arch. Fulton Sheen is currently stalled at "venerable" and GK Chesterton, whose writings are among the best of the twentieth century, is still at stage one above). It will be interesting to watch this develop. I believe Clemente would be the first major professional athlete to be canonized.